Cut squash in half/ take seeds out. Drizzle with olive oil, salt and pepper. 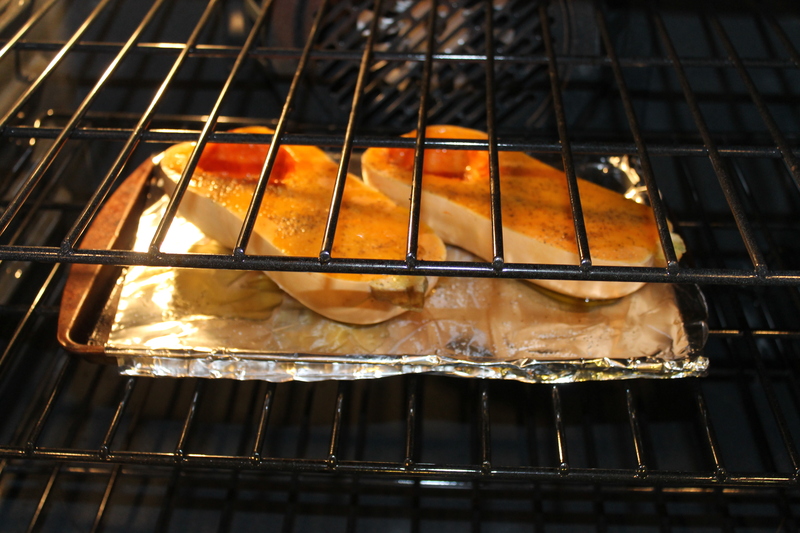 Start by baking the squash at 400 degrees on cookie sheet for about 1 hour (or until squash is soft.) Once squash is soft, you can either scoop out of the skin, or cut skin off. 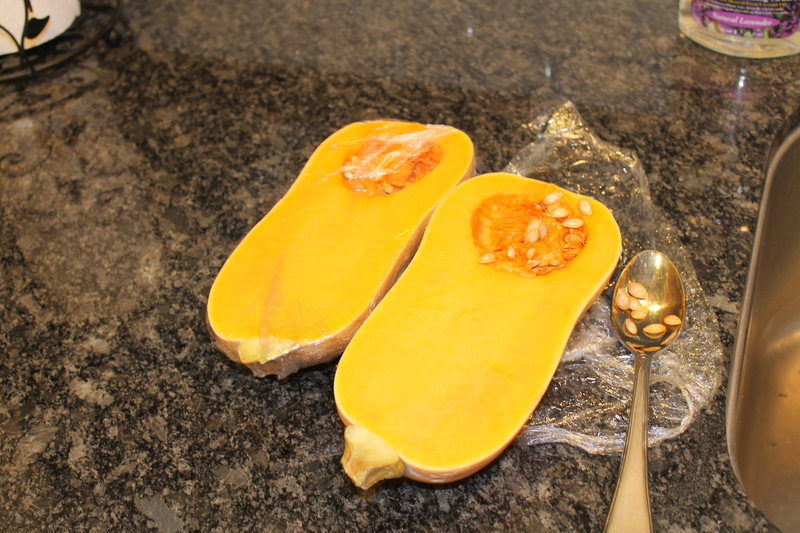 Place squash in blender or food processor w/about 3 cups of veggie or chicken stalk to get a pureed consitancy. Take out of blender and place in pot on med/high heat (you want a small boil.) If consitancy is too thick you can slowly add more stalk. Add salt, agave or honey, nutmeg, cinnamon and heavy cream (optional- I used only 1/2 cup bc my tummy doesn’t like cream based soups). 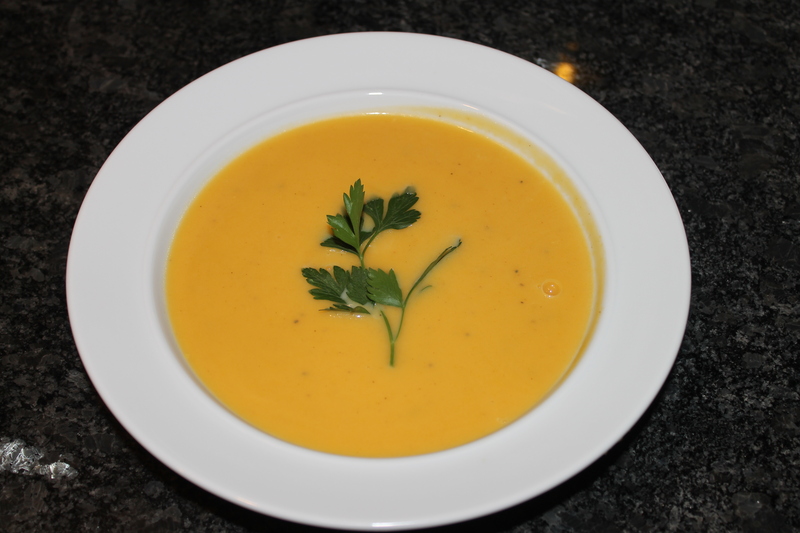 If the soup is too sweet you can always add a few red pepper flakes to add a kick. *I am not a fan of store bought veggie stalk so I made my own. 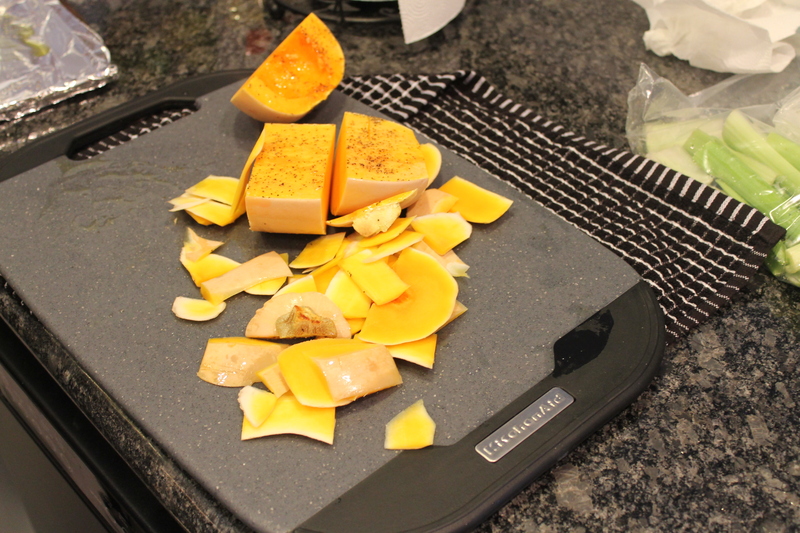 I baked the squash for about 30 minutes to get soft, so when I cut the skin off it wouldn’t be so hard. I then placed sqaush in a large pot with water, carrots,celary, garlic, white onion, zuchini and let boil until veggies can’t cook any longer. 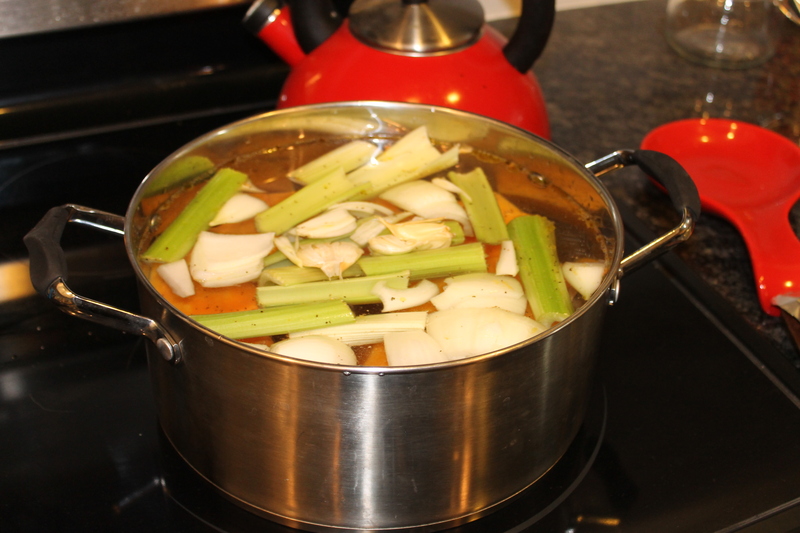 From this I took the squash out of broth- while draining the broth and throwing the boiled veggies out. If you don’t use all of it, just throw in the freezer in a plastic bag and you can use at a later date.